The issues with having a smartphone is that you can get filled to the brim with notifications. With all the the texts, alarms, and emails that you can get, you will probably enter into your phone with quite a bit to see before you can access your favorite apps. You could shell out a few hundred dollars for a smartwatch, or you could just pay a fraction of the cost for SimpleMatters Ditto. The Ditto is a small device that you can clip to yourself or just put on the included armband, and it will vibrate when you get a notification. Do you need to buy a smartwatch for that? Ditto can work for over 60 applications, and you can set up customized vibration patterns for whatever notification that you want. There are even silent alarms and loads of customization aboard. By the way, you can also tether the phone to the Ditto, so you won’t be losing that smartphone again with Ditto reminding you. 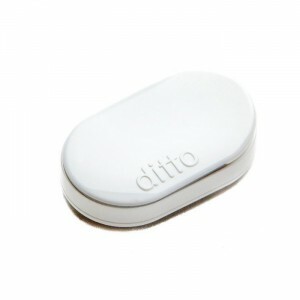 By the way, Ditto wirelessly connects to your smartphone from 50-100 feet away, and it doesn’t need charging thanks to its battery that lasts 3-6 months. Also by the way, Ditto is waterproof. I’ll be honest with you when I say that I have written about Ditto before, and I sent away for another because I confused it for a product of the same name. I just wanted to be clear, but I felt a reason to write about it again because it is a great product. It can be picked up at the Ditto site for $39.95.